A beautiful, hand-decorated 8 oz. 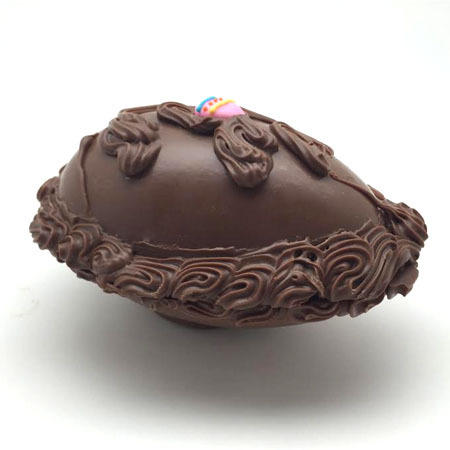 hollow shell egg made with our Belgian milk chocolate. 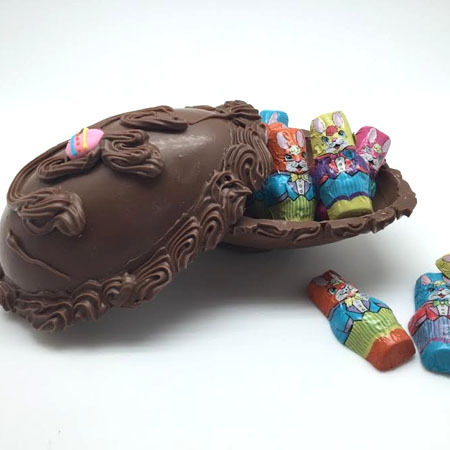 These hollow eggs come in two halves which makes them perfect to fill with jelly beans or your favorite Easter treat! 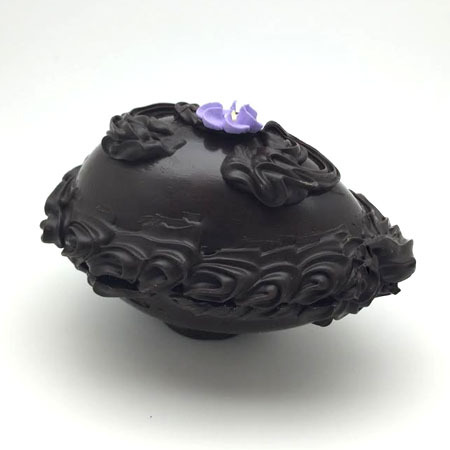 Love this milk chocolate shell egg. It reminds me of the good candy we used to get growing up at a local candy store that made their own candy. I will let you know Sunday when my grand children get their Easter baskets. They look great; exactly what I ordered. My Mother used to buy these at Krause's on Germantown Ave. Phila. for the family 60+ years ago. If my grand kids don't like them, I will order more for me next year. Thank You! Reminds me of being a young girl again! Mom would place a shell egg in each of our baskets filled with Hershey's Kisses and surrounded by tons of other goodies! Delicious and beautiful. The perfect compliment to any Easter basket!